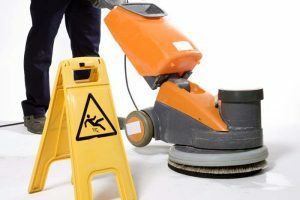 When you hire All Bright Janitorial Services to clean your home or office, we will customize a cleaning protocol based on your specific needs. How this cleaning checklist looks will depend primarily on the frequency of your scheduled cleaning. If you own a busy retail business or office, you may require daily cleaning. But if you are simply bringing in our cleaning professionals to tidy up your home, you may only see us once a week or even once every two weeks. Emptying all the trash receptacles and replacing soiled trash bags with new ones. Disinfecting doorknobs, light switches, handles, faucets, and other places that are touched frequently. Cleaning and disinfecting toilets, countertops, sinks, and floors. Refilling toilet paper, soap, and paper towel dispensers in bathrooms and kitchens. We also will do things like sweeping, mopping, and vacuuming floors in high-traffic areas, washing and putting away dirty dishes left in the kitchen sink, and wiping down bathroom and kitchen walls. If you are using All Bright Janitorial Services for weekly or biweekly residential cleaning, these tasks may be part of your customized cleaning checklist for every visit. Our cleaning professionals will consult with you to modify or add on to your customized cleaning checklist any time you want.